If you research voice over commercial demo production on the internet, at some point you will be confronted with the “brand name” controversy. It goes like this: Should I use real brand names in the copy for my demo? Why is this a debate? Some argue that copy with actual brand names will violate copy or trademark laws and can get you in legal hot water. Others argue that you will be compared to the voice over talent that performed the original commercial. In a similar vein, some argue that, by using existing commercial copy and brand names, you will be confusing agents or clients who will assume you recorded the actual aired spot. Write your own copy and your own imaginary brand names. Don’t use any brand names – real or imaginary – in your demo. Don’t use imaginary brand names! This is and instant “red flag” that you are an inexperienced “newbie” in this business. The biggest resistance to hiring new talent is the fear that the talents’ lack of experience will result in an unprofessional performance or many retakes to achieve a desired result. When a client, a casting pro, or an agent hears imaginary brand names, each one screams “no experience”. This effect is increased by the fact that most demos they receive do use real brand names. Their conclusion: This talent is inexperienced and is also not aware of industry norms. And don’t write your own copy! You want to be a voice talent. Don’t try to be a copy writer. Real copy writers make six figure incomes and work in agency environments where many people contribute ideas and sign off on the final result. Trust me, there is no way your copy is going to have the polish and precision of the copy of a national advertiser. In addition, industry pros don’t want to hear you interpret your own writing. That’s too easy. The pros want to hear your interpretation of actual broadcast copy. This is similar to the audition process where you interpret actual copy. Don’t leave out the brand names! The listening powers-that-be want hear your treatment of all the components of an actual commercial. How do you handle the headline? The features and benefits? The call to action? And above all, how to you handle the company name, the product name and the product slogan? If you leave out these identifiable components the client won’t be able to judge how you “brand” their company. Won’t they think I’m Julia Roberts or Morgan Freeman? Uh, no… If you sing “New York, New York” will they think you’re Liza Minnelli or Frank Sinatra? Not a chance. So don’t worry that the industry pros will think you did the latest Visa spot. They know you didn’t. But they can hear your interpretation. Who knows? You may have a better read than the original! In this competitive business you need the best demo you can get! A top-notch voice over demo is a strategic and artistic combination of copy that highlights your individual performance, knowledgable direction, good editing, appropriate music and the proper sequencing of the spots. Always select a demo producer that is involved in the voice over industry and is up to date on the latest advertising trends. You can read more about Aliso Creek Demo Production here. Or fill out this form to get started on YOUR voice over demo! If you likes this article, you can SHARE IT with a friend. Want more VO info? FOLLOW US! This entry was posted in Auditioning, Commercial Demo, Marketing, Professionalism, Voice Over Demos. Bookmark the permalink. 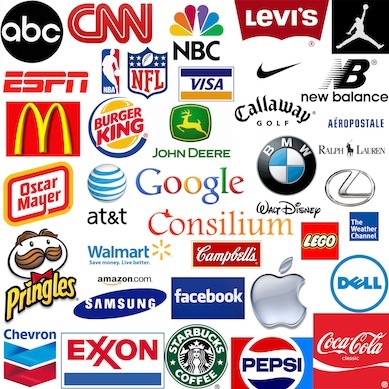 8 Responses to Should You Use Brand Names in Your Voice Over Demo? As usual you have given some very good advice. We listen to a huge number of VO demos where I work. Anytime someone who is clearly (and you can tell) new to VO mentions a brand name like BMW or Disney in their demo, we all look at each other and say the words “demo mill.” And we immediately question this person’s actual ability to be able to deliver the kind of reads we’re hearing on the demo. It’s a dicey proposition. It has kicked a number of VO people out of consideration. Brent, it sounds like you’re making two separate judgements. First that the talent is new to voice over (with an implication that they are not that good?) And then that they probably didn’t actually voice the Disney spot, which is reasonable (I work in Burbank CA so it’s not that unreasonable). So, even if they are relatively new as a voice talent, if they can nail the Disney spot I see no reason not to use that copy. But the basic idea behind this article is that clients like to hear how the talent handles a problem, a solution, a call to action, product features, a brand name and a slogan,etc. in the their demo. Performing copy with big company writing and branding let’s me know they are ready to compete with the best. The final test is the audition anyway. I have just finished editing a promo video that illustrates my VO work along with a female colleague and we had similar decisions to make as described in your article. Interesting and helpful read. Many thanks. I have been asked many times “Would you ever recommend using competing companies on a demo i.e Ford, Chevrolet”. I wouldn’t but, I don’t make demos for other people. What is your take on this? The only time I would use a variety of automobile companies would be if I was producing a demo that was specific to auto advertisements or ads for auto dealerships. The real reason you don’t want competing auto ads on your commercial demo is that you don’t want to repeat ads for the same marketplace (auto, financial, fast food, toys, cosmetics, etc.) or the same sound of your voice.